I’ve often wondered if a superhero movie could truly be taken seriously as a great film regardless of the fact that it’s based off a character that runs around in a strange costume. After “Batman & Robin” I was pretty much willing to give up that thought. While the Batman series may have started out seriously enough, ever since Tim Burton left the series its just become too silly to take seriously on any level. Now we have famed indie director Christopher Nolan taking a crack at the bat, and for once audiences might discover how good a comic book movie can really be. 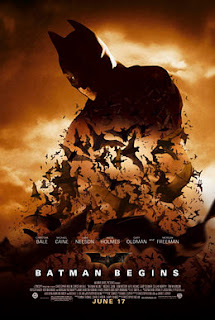 “Batman Begins” is a dark, stylish drama that just happens to have some major action sequences in it. It’s about a boy whose life is forever changed one night and must decide how to deal with it. This is Bruce Wayne (Christian Bale), whose purpose in life is to kill the man who killed his parents. When that doesn’t work out though he winds up halfway across the world trying to figure out what he wants to do with his life. It is only when he meets a man named Henri Ducard (Liam Neeson) who introduces him to man named Ra’s al Ghul (Ken Watanabe) - who trains men to hunt criminals – does his life begin to head in something that appears to be direction. Though they may not be the strongest group of men you’ll meet, they do what they do well because they know about theatrics and showmanship. If Bruce is to successfully capture criminals, he must become more than a man. A man can be broken, beaten, and even killed. But as a symbol he can strike fear into criminals everywhere. This way of thinking is just as well, because his first major criminal he takes down will be Doctor Crane (Cillian Murphy), who has an alias he simply calls “Scarecrow.” He believes that society will never learn from its mistakes and that in order to create a civilized society the old one must first be torn down and built from scratch. He therefor has a plan to poison the water in Gotham City, making everyone so fearful they will destroy each other in the process. The amazing thing about this is that Batman is presented as an idea set in motion. So too, for that matter, is the concept of Scarecrow. Both characters are there for show because as plain men, neither can do what they need to do. They must both project fear in a way that is intimidating and effective. Nolan creates a darker version of Gotham City than even Burton’s vision was. 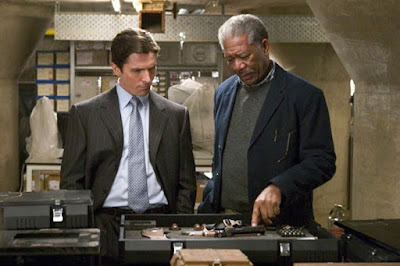 Even the Batmobile - designed by Lucius Fox (Morgan Freeman), one of the few men Wayne trusts – resembles a tank more than a car. The movie also questions whether or not it can be considered a good thing to take matters into your own hands. By using billions tactics for the greater good, does that in return make you the thing you are trying to stop? And what about Lt. Gordon (Gary Oldman), who is one of the few truly honest men in the city, but whose impact on the world is far less than that of Batman? 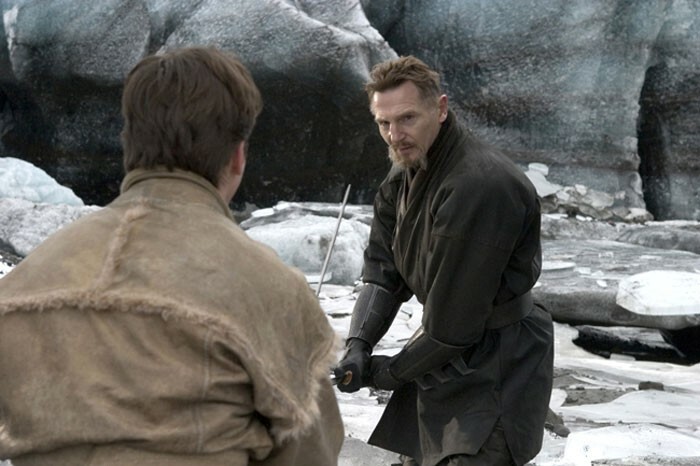 “Batman Begins” is likely to have many people discussing these tough themes long after the credits role. Thankfully, the movie also has some good action sequences that make it an ideal summer film. It’s truthfully one of the smartest summer blockbusters I’ve seen. It’s so good that I have a feeling it has the chance to change the superhero movie landscape forever, and we’re going to reap the benefits of this creative film for years. Parents, despite a PG-13 rating the movie is very violent, dark, and even gruesome at times. Recommended for ages 14 and up.